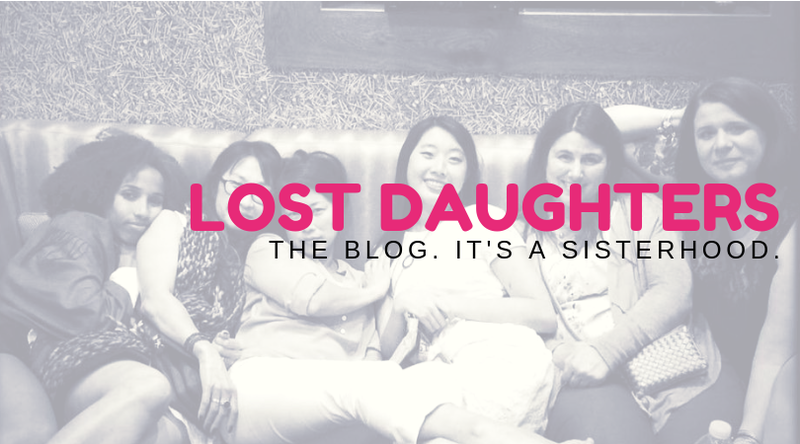 Many of the posts on Lost Daughters focus on the pain, loss and heartbreak that come up for the adoptee. They have been amazing posts, and they've informed me of how closed-off I still am to many of my own feelings about my adoption. 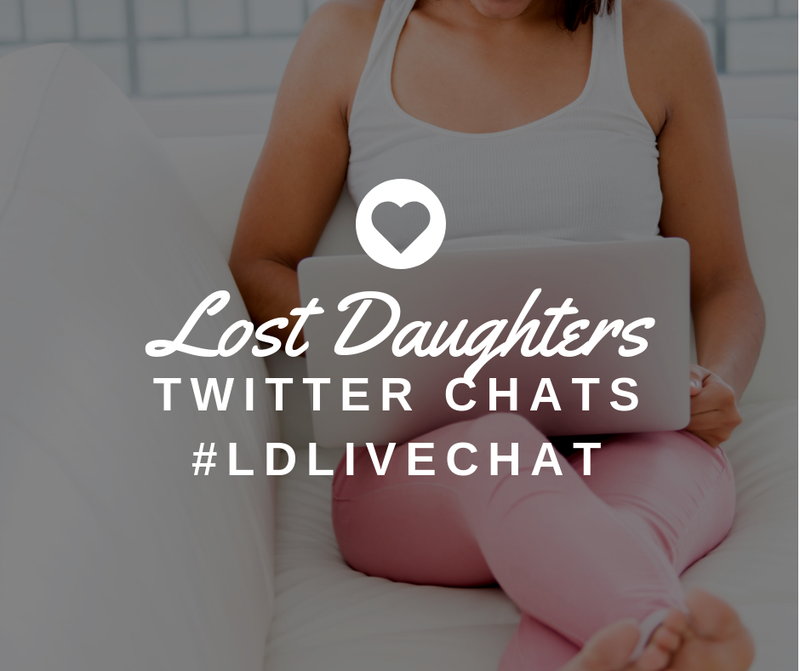 So, when I was paired up with a birth mother for an interview, I thought it would make an interesting addition to Lost Daughters for my Reunion Spot column. While I don't normally post something onto Lost Daughter's that I've covered in my personal blog, I thought this one was worth telling twice. Unplanned pregnancies happen, adoption exists, and somehow everyone involved has to make sense of it. That's not to say we can't make changes or evolve what exists now, but we can't change the past. So my posts have typically been focused on the adoptee's convergence of identity that happens through reunion. When I was pulling together Rachel's interview, it hit me - open adoptions are like having a reunion from day-one. No secrets, no lies, just the truth, no matter how painful. I am eager to watch open adoptions like Rachel's evolve over time. They will help us ferret out what the issues are that appear because of the closed system vs. what issues still exist regardless. I am so thankful to have people like Rachel out there writing the story while they're living it. Amazing. Read Rachel's interview with Cathy here. What would it be like to experience, and share, your reunion from the very first day the baby was born? That's how I think of open adoption: the experience of reunion, with all the emotions, struggles and joy, but on a day to day basis. You would be in reunion from day one. I was paired up with Rachel for the 2012 Adoption Bloggers' Interview Project. Rachel is a birth mother who is blogging from the perspective of the "birth mother or father who is in the thick of it...documenting their thoughts, feelings, fears, anxieties, etc. from the beginning" in her blog The Great Wide Open. When I started reading her blog, I was instantly hooked...what would it be like to be in reunion from the very first day? How would the experience of open adoption be vs. closed adoption...would there be the same issues, doubts, questions? Luckily, I had the chance to ask. Growing up in a closed adoption, I didn't know why my (birth) mother chose not to raise me. I know now, and can understand why she made the choices she did. But, the little kid inside of me is still stung that she would choose any life, no matter how wonderful, over the one of being my mother. In open adoption the child knows it all up front. Seeing the pictures of your travels and your life on your own, I wonder how it will be for Reed to know, and to see, the life that you chose. What kind of relationship do you see having with Reed throughout your life? How would it be if it could be your ideal? When he is a grown-up, what would you like your relationship to look like? When I try to look into a crystal ball and see Reed’s and my future relationship, it’s fun for me to think of what it might be, and it’s something Doug, Maura and I have talked a lot about. (We’ve also talked about how my relationship will grow with Julian, Reed’s younger brother, which we all feel is important to establish as well.) If you want some kind of label to relate it to, I suppose my relationship to him might be something like an aunt, but hopefully a special aunt. I see us being friends, I want to be someone he feels he can count on for emotional support and encouragement. I hope he’ll see me as his cheerleader, as a number one fan, maybe even as a confidant. But in all reality, I can try as I might and put in all the effort that I can, but I can’t predict or control how he responds or feels towards me. As he grows older and has his own issues he’ll need to deal with, there is no crystal ball to know how he’ll think or feel towards me, and no magic formula to make him reciprocate all the love I have for him. I guess no parent can control that, but with an adoptive situation it seems different, like there are many more variables. I know good and well that there may be a time when he needs space from me, when he doesn’t want to see me. Who can tell? All I can do is love him. But back to your question, my hope is that we will develop a strong, deep and meaningful relationship. By the time he is an adult, with my continuous presence in his life, I hope we will have established a solid bond between us with regular conversations, visits and continuing to be a part of his family. Here's a question I am always fascinated with - what does he call you? What do you want him to call you? He just calls me Rachel, and that’s what I like for him to call me. A side note that I can’t help but put in- I recently heard from Doug that while Maura was visiting a friend, they were Skyping with her and after they were through Reed said, “I want to Skype with Rachel!” They tried to call but I was unavailable, but hearing that has put a smile on my face for days! In my personal experience with my birthmom, she has a lot of regrets. In the end, she wishes she chose differently and found a way to keep me. While I'm not sure I truly believe that, it's something she is clear about now. You seem clear in your blog that you don't doubt your choice. Do you ever have doubts? Do you ever worry that you'll have doubts or regrets later in life? Ah, doubts and regret. What a subject- a subject I’ve grappled with a lot. As you’ve read in my blog, I have said I don’t doubt my choice. And I still don’t. There have been times in my life that I have made decisions not based on what I truly thought or believed was right to do, and those times have certainly led to regrets. I’m not a person who doesn’t believe in regret. I can learn from my mistakes and much good can- and has- come from them, but they are still regrets. At whatever time, I may not have known how to handle those situations without the knowledge I gained subsequently from them, but nevertheless, I still wish I had handled them differently and they are still regrets. I can’t get around that, but I’m ok with it because I have learned immense life changing lessons from them, so I’m thankful and blessed. Reed, however, is not a regret. My decision to place him for adoption is not a regret either. There are times in everyone’s life when you just know, from the deepest essence of your soul and who you are, what the right thing to do is. And it doesn't just seem right, it is divine. That’s how I felt when I decided on an open adoption. I didn't know anything about adoption or open adoption, but when I thought about him having the home he needs, with the people who had been preparing for him long before I ever knew about him, and with me still in his life, I felt that divine peace and a “YES! THIS IS THE PATH TO TAKE!” from my internal compass. So what do I believe about regret? I believe that if you honestly, truly and purely followed your heart, then even if later on down the line everything falls apart, it shouldn't be a regret. Perhaps later in my life I’ll be sitting alone in a rocking chair with no children or grandchildren and no husband, and I may feel lonely as hell thinking about all the shoulda-woulda-couldas. But I still don’t think I’ll be able to regret my decision to place Reed for adoption, because at that time, if I had made any other decision, I would have been bowing to social and societal pressure instead of being true to myself. Is that a way to raise a son? Now comes the tricky part; how do I explain all of this to Reed? How do I look him in the eye and tell him, “I didn't want to raise you and I’m glad I gave you up”? OK so I can’t imagine those exact words would come out of my lips, but you get the point. I don’t expect him to understand everything, not for many years anyway. But if there’s one thing I hope he learns from his relationship with me, it is to follow your heart. I hope that he’ll never doubt my love for him, and I aim to give him as many reasons as I can not to doubt that, every chance I can. Why did you choose to blog about your experience? What do you hope others will get out of your blog? I chose to blog because I've always been a writer at heart, and I can process things so much better when I write them out. Writing is often much easier than speaking for me. When I was pregnant, I wanted desperately to read someone else’s point of view, but I didn't know where to look and I didn't find much. So, I decided to put it out there myself. Mine is such a different experience from what most people normally think about when they conjure up an image of adoption, and I like that. I hope my blog will give encouragement and wisdom to someone who may have an unplanned/unwanted pregnancy. I think that the shame and stigma of an unwed pregnant woman should be abolished, and that she should be able to make a decision knowing all of the options available to her. Every person and situation is different, and any number of choices may be better for another woman/couple than what was right for Bill (Reed’s birth father) and me, but I feel an urge to be a voice for a positive, open adoption experience. I believe that open adoption can be not only a viable, healthy choice for everyone involved, but also a truly joyful, fulfilling and positive experience. So, in reading through your blog the adoptee in me sees your wonderful travels and your exciting life, and the little kid adoptee in me gets a pit in my stomach. For me, it's like seeing the great life my mom chose to have without me - which, of course, it is, and which of course makes sense, and it's something I wrestle with. It's not like I think I would be better off with Kate, my birth mom - her life as a musician was ungrounded and my adoptive parents gave me a solid, happy life that I honestly love. But, I still can't help feeling like, "this is what you chose instead of me, why not have continued your life but...with me?" Because I look at your pictures and I think, "Augh, I want to go! I want to see that stuff! I want to have that! But that is what makes me wonder if maybe open adoption is the solution - your Reed gets a grounded, stable home AND the adventure from you. But, the one thing I really want for him...you HAVE to take him on trips with you, you just have to. Not all the time, specific ones that fit into his school schedule and his life and his interests - but he needs to get to experience that with you while he's growing up. I don't know if it's possible or what the arrangement is, but, to me, that's the ideal combination. I can totally relate to what you’re saying. I mean, not as an adoptee, but I have wondered many times if Reed would look at my life and think that I gave him up so I could have all of these fun adventures, that I chose this exciting life over him. It may be inevitable that he think that at some point, quite honestly, no matter what my relationship is with him, I don’t see how he couldn't. I’m pretty sure I would if I were in his shoes. When I chose adoption, it’s not exactly that I chose this adventurous life over him. At the time when I was thinking about all of these things and making decisions, I was working in seasonal positions, living in employee housing, holding temporary jobs, and going a few months out of the year with no income at all. Yes I was surviving quite happily on my own, but it would have been impossible to continue that kind of life as a single mom. I can’t work 60 hours a week in the middle of Alaska, living in employee housing in a single room with a baby to take care of. Not only is it just not allowed, but it would have been an impossible life style. That’s how all of my jobs were, and that’s what I had loved so much about the previous 5 years of my life. If I had kept Reed and decided to be a single mom, which I didn't want to be, I would have had to stop that lifestyle altogether, which I didn't want to do. I would have probably had to move back to Texas (which I didn't want to do) so I could take advantage of my large family for financial, emotional, and babysitting help so that I could find a full-time job, probably starting off waiting tables at a chain restaurant (which I didn't want to do). When I thought of raising Reed, everything in my life seemed to come to a stand-still. But what was more on my mind through this thought process, was Reed’s life. What could I have given him? My time? Probably not so much, because I would have been working to support the both of us, and since my experience was almost all in the restaurant business, that would have meant long nights and weekends. Now, I know that there are plenty of single mothers and fathers who make this work, and they wouldn't change it for the world. I think that if I had kept Reed, and that was the decision I felt was truly right, then I would have loved my life with him and would have happily made any kind of sacrifice needed. But not only did I not want that life for me, I didn't want that life for him. I always thought that if I were a parent I would want to be a stay at home mom. I’m not a fan of long hours in daycare, I like the idea of homeschooling, of really investing lots of time into a child’s life. Those are just my own personal values and that’s how I would want to raise a family if I did. How could I do that by myself, without a partner? So yeah, it’s not just that I chose this life over a life with him, it’s that I chose his life over a life with me. And that’s what felt right to me, that’s when I had peace. And that’s why I’m still happy with my decision to this day, because Doug and Maura are providing things for him that would have been impossible for me. He’s gardening, collecting eggs from the neighborhood chicken coup, taking walks in the woods, learning how to make pottery, painting, cooking, and has two doting parents that can teach him these kinds of life lessons instead of being sent to a daycare. BUT…. I do want to share my life with him. Doug, Maura and I will have to evaluate and see how all of our relationships evolve, but I dream of a day when I can take Reed on an adventure of our own, when he can get a taste of my life. One of the best things that could happen to me is if Doug and Maura decided they wanted to take their family to come visit me in Singapore or wherever else I happened to be. His parents will always be the main contributors in his life, but I want to have my own unique contributions, too. I guess my main hope is that he’ll be inspired by the best of both worlds. For me, it has been invaluable to be able to correspond with someone who (is) in (an open adoption)...especially someone so open and honest. You can read Rachel's interview with me here in her blog, The Great Wide Open. Fair warning! 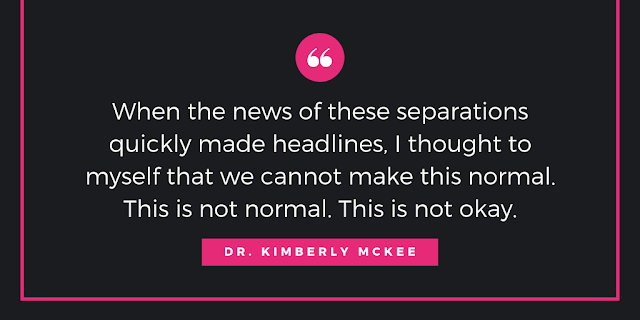 In Rachel's interview with me I discuss abortion as well as adoption, so if that makes you uncomfortable, you may not want to go there.